A common problem we all have is that we find it difficult to stop working. Fear that things will fall apart, worry that our efforts will not be enough, fear that we will be found useless. By turning to the Lord in praise we are made to deal with the issue inside of us that causes us feel like our worth is found in what we can do and accomplish. 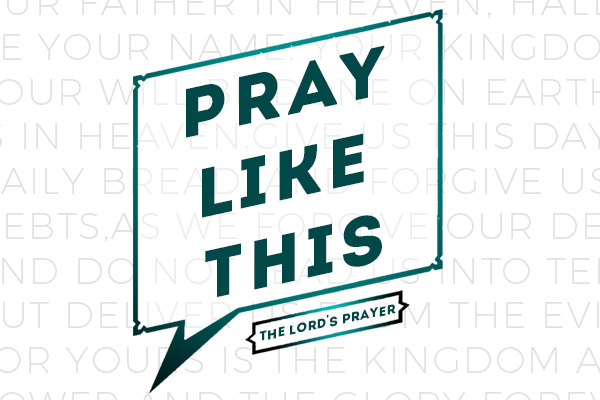 Today we wrap up our series in the Lord’s Prayer by reflecting on the doxology of praise used by the church at the end of the prayer. Click here for resources for this series. OPPORTUNITIES are ministries and studies offered and led by women and men from Faith Community. Stop by the table and learn what they are and how YOU can start one! Stop by and learn more about Journey as well. We set aside the first Saturday night of the month to worship and pray together as a community. Join us on Saturday April 6th at 5pm in the Worship Center.